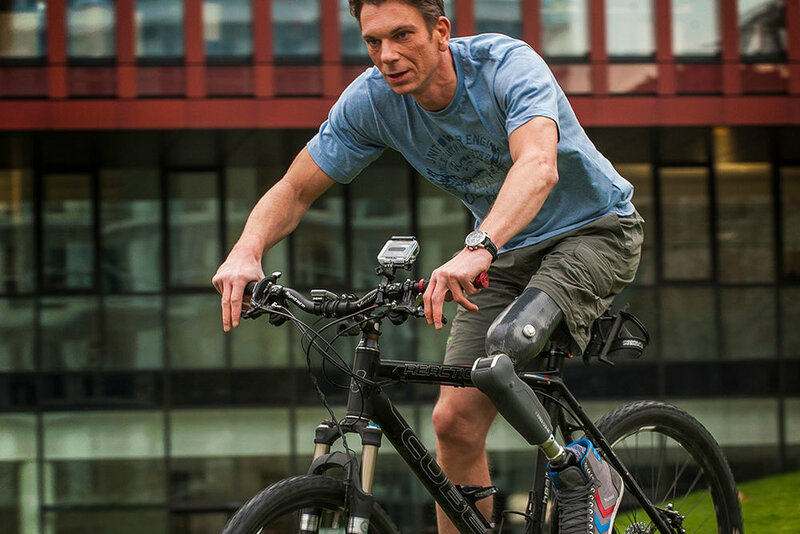 Frederick certified prosthetist orthotist, John P. Jacobs, CPO, recalls a professor’s advice: “The goal is to make prosthetics invisible, weigh nothing, and cost nothing. If you can manage all that, you’re on the right track!” Based on our recent visit to Ability Prosthetics and Orthotics on Thomas Johnson Drive, Mr. Jacobs' professor would be impressed by how much closer technology has brought him towards that incredible goal over the last couple decades. Historically, conventional upper extremity prosthetics were entirely body-powered -- using cables and harnesses to mechanically maneuver the artificial limb. Conventional prosthetics required some upper extremity motion and strength to operate an elbow or terminal device. The operation was not intuitive and required dexterity for a functional outcome. Recent breakthroughs are addressing these shortcomings through the introduction of externally powered artificial limbs that can be controlled by the electric signals (myoelectrics) generated by the body's muscles. "When you want to move your hand, your body intuitively fires a specific pattern of signals within your arm," Jacobs explains. When using myoelectric prosthetics, the patient is asked to attempt a desired action. Using electronic sensors, the unique pattern of minute muscle and nerve activity is mapped by a small internal computer and translated into usable instruction for an electric motor to control the limb accordingly. The result is an astonishingly natural-like limb that responds to the mental stimulus of the user. “The basic building materials that our field relies on have been substantially improved over the years. Early orthotic devices were fabricated out of metal, which provided functional orthoses, but lacked a cosmetic appearance and tended to be cumbersome and heavy. Over time, we’ve transitioned to thermoplastics, and now into carbon and composites.” These new innovative materials have dramatically reduced the weight, enhanced the flexibility, and increased the durability of prosthetics and orthotics offering improved mobility for patients. 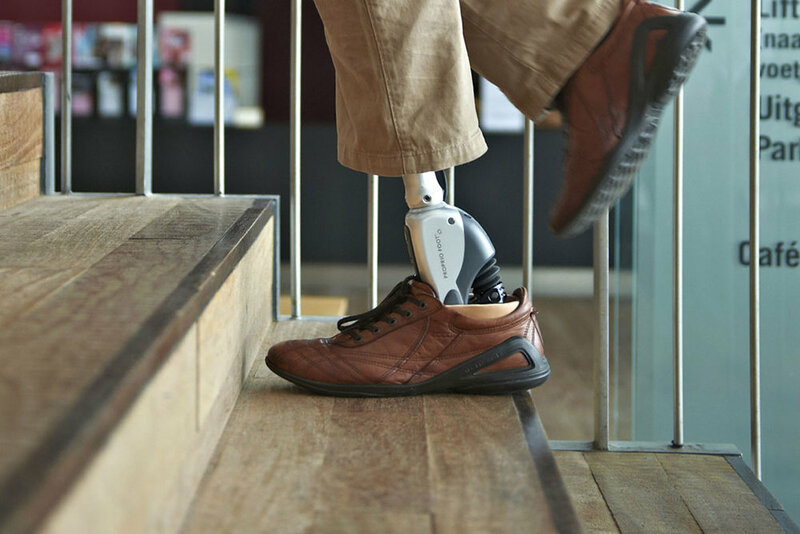 Prosthetics now can include sophisticated sensors, gyroscopes, microprocessors and hydraulics for improved mobility. "As sensors detect changes in the user’s environment, microprocessor knees can adjust the resistance in flexion and extension maintaining a safe and functional gait." This adaptability allows patients smoother movement on uneven surfaces, through changing elevations, and across different moving speeds. These exciting improvements enable patients to return to their normal, active lifestyle. "Creating and fitting prosthetics & orthotics has always been a chance for creative problem solving! No two patients or custom devices are the same, but our expertise and training allow us to provide optimum outcomes, which translates into enabled patients." Mr. Jacobs says, while sometimes the solutions come in the form of nearly sci-fi worthy technology.. at the end of the day, the goal is still simply to find the most effective, efficient, and custom solution for each person who comes through his door.